Sometimes a GIF alone isn’t enough; sometimes you want to add a little bit of text. 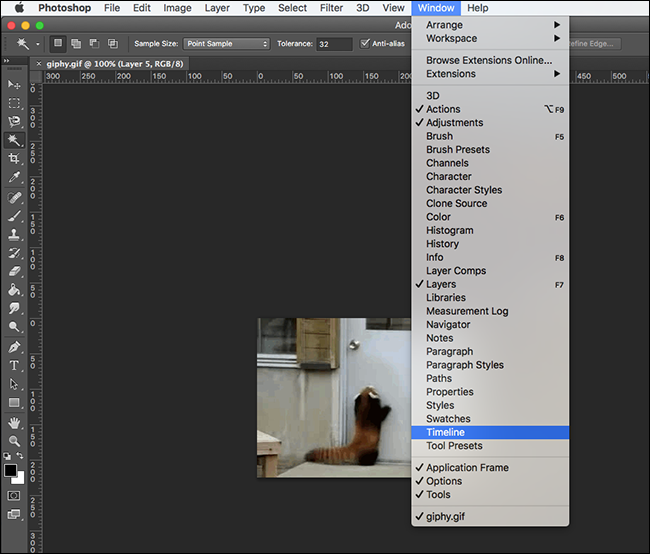 Photoshop can do the job, but the process isn’t as intuitive as you’d imagine, especially if you’ve never edited animation in Photoshop before. 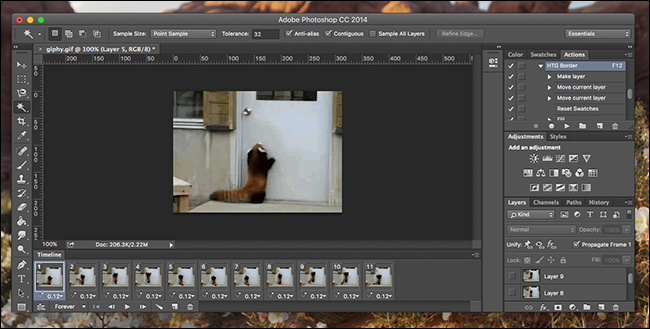 When you import a GIF in Photoshop, you’ll notice that every frame shows up in “Layers.” Notably, changing the order of the layers does not change the order that frames play back in. What’s going on, exactly? To find out, you need to open the Timeline window, which you’ll find under Window > Timeline. This will add a new window, where you can see the frames in your GIF, and even hit the play button to preview playback. The Timeline window lets you control what order your frames play back in, and to preview your animation. 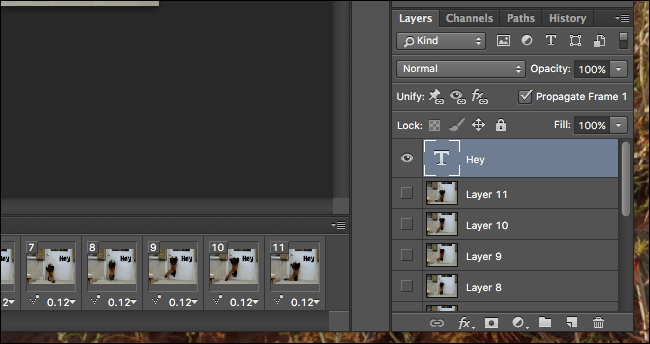 The Layers window controls which frames transparent overlays will show up over. An overlay at the top of the list will show up over all frames, for example. With access to this, let’s go ahead and add our overlay. For this example, we’ll be adding text, so create a text box as you normally would. As always, your text will be added in a new layer. 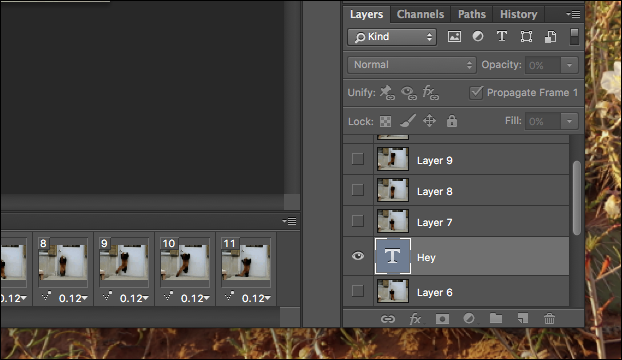 Go ahead and drag this overlay to the top of your layers list. Just like that, your text overlay will show up over all of your GIF. If that’s all you want to do, you’re done! 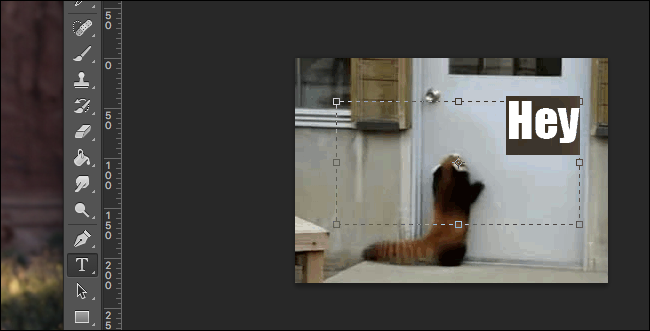 But if you want your overlay to show up at a certain point in the animation, things get a little more complicated. Drag your text box to the middle to see what I mean. 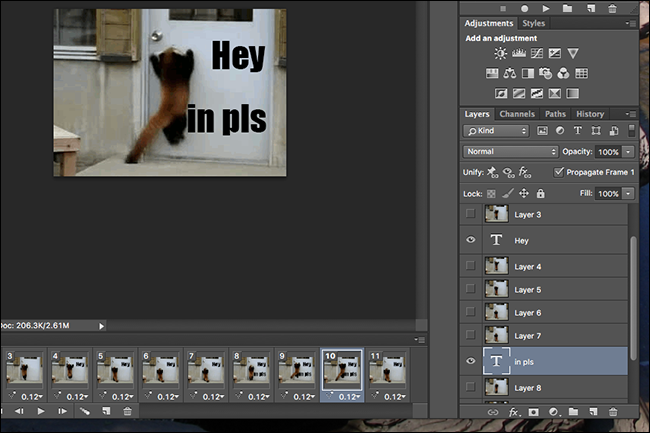 In my example, doing this caused the text to show up for the first half of the frames, then disappear. 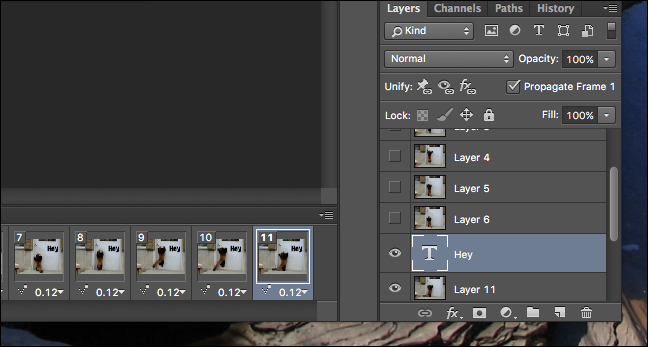 That’s probably the opposite of what you want, and the only way to fix it is to rearrange all of your layers. Drag the early frames to the top of the list, put your text in the middle. This makes it possible for your text to show up halfway through the GIF. You can even add another bit of text, later. Getting things just right can take a while, but play with the layer order long enough and your text will show up exactly when you want it to. When you’re ready, I suggest you click File > Save For Web to export the GIF; you’ll get a lot of control over the quality, which can help reduce file size. Enjoy your newly complete GIF!